Successful completion of a background check through www.castlebranch.com. Package code for background check is LR28. The school will considers credits from accredited institutions recognized by the US Dept. of Education as part of the program prerequisites. There is no advanced placement into the program regardless of previous education or experience. Students interested in enrolling in the Florida Institute of Ultrasound should complete an enrollment application, which is included in the admissions packet and on the website. An application may be obtained by calling or emailing the school. Students must submit college transcripts and two letters of reference in order to be considered for acceptance. A decision is made regarding acceptance usually within 4 weeks of receiving the complete application packet. Acceptance is based on fulfilling educational prerequisites, grade point average, successful completion of a background check, completing required immunizations and faculty approval. Any derogatory results on the background check could result in acceptance being rescinded. Upon acceptance, the student will receive an acceptance letter and will have 30 days to make a deposit of $1,500 to secure the students place in the class. The program is 12 months in length, with 48 weeks of instruction. Students complete the Abdomen, OB/GYN and Physics didactic portion in the first three months, then rotate to Abdomen and OB/GYN clinical sites for three months. Students then return to class for three months of Echocardiography and Vascular didactic instruction, then rotate to Echocardiography and Vascular clinical sites for three months. During the didactic portion of the program students receive classroom lectures, PowerPoint lectures, and scanning instruction. The clinical portion of the program includes experience in various clinical settings and patient scanning. Classes are held on campus and in the English language. If the program is canceled the student will be provided, without additional charge, instruction promised at the time of application, by the closed institution prior to it’s closure, assuming tuition is fully paid. The program is a residential program which is held on campus at 8800 University Parkway, Suite A4, Pensacola, Florida. Clinical rotations are held off campus and can be found listed under “Clinical Affiliates”. Tuition for the program is $17,500.00 which included in this fee is liability insurance up to a limit of $1,000,000. Cost of textbooks and uniforms is NOT included in the tuition fee. Upon acceptance into the program, a $1,500 deposit is due and payable with the executed enrollment agreement. This deposit is refundable if the student should withdraw under the conditions stated in the Tuition Refund Policy. Tuition for the six month program (Abdomen, OB/GYN & Physics) or (Echo &Vascular) is $9,500. More information regarding the six month program can be found in the School Catalog. TRUTH IN LENDING STATEMENT ALL PRICES FOR COURSES ARE PRINTED HEREIN THERE ARE NO CARRYING CHARGES OR SERVICE CHARGES CONNECTED OR CHARGED WITH ANY OF THESE PROGRAMS CONTRACTS ARE NOT SOLD TO THIRD PARTIES AT ANYTIME COST OF CREDIT IS INCLUDED IN PRICE COST FOR GOODS AND SERVICES. Books required for the program will cost approximately $850. Uniforms required for the program include scrubs and a lab coat. Scrubs are to be worn in the classroom and all clinical sites. Scrubs for the classroom may be any pattern or style. Scrubs for clinicals must be the school uniform which consists of a white scrub top, with the school logo, teal scrub pants, lab coat and name tag. Living Expenses are not included in the tuition fee. A typical one bedroom, single bath apartment in the Pensacola area costs approximately $600 per month. Apartments can be found for the Pensacola area at www.apartmentguide.com. 2. All monies will be refunded if the applicant is not accepted by the school or if the student cancels within three (3) business days after signing the Enrollment Agreement and making initial payment. 3. Cancellation after the third (3rd) business day, but prior to the first class, will result in a refund of all monies paid. 4. Cancellation after attendance has begun, but prior to 60% completion of the program, will result in a Pro-rata refund computed on the number of hours scheduled to the total program hours, minus a $100 Administrative Fee. 5. Cancellation after completing 60% of the program will result in no refund. 6. Termination Date: The termination date for refund computation purposes is the late date of actual attendance by the student unless earlier written notice is received. 7. Refunds will be made within 30 days following determination of termination or receipt of Cancellation Notice. 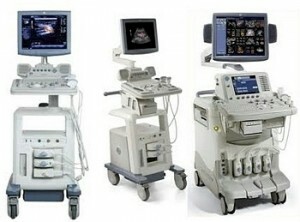 The Florida Institute of Ultrasound has five ultrasound machines available for scanning. They are two GE Lagiq P5’s, two GE Logiq P6’s and one GE Logiq 7. Students will receive CPR training before attending clinical rotations. All students will be required to rotate to various clinical affiliates for practical experience and observation on a schedule basis. These affiliates have a wide variety of equipment and procedures which are a vital part of the student’s education. A list of the various clinical locations is below. Other clinical sites may be located outside of a 100 mile radius. Students have the option of setting up their own clinical sites. In addition to the rules governing student behavior as described by the Florida Institute of Ultrasound, the clinical sites have their own rules which must be adhered to by each student. Each clinical rotation site has a dress code that pertains to their facility. This dress code will be followed by students while in their facility. These rules will be reviewed before clinical rotations begin. The Florida Institute of Ultrasound will not be held responsible for illness, injury, or accidents incurred while a students travels to or from any clinical affiliate and/or the school proper. The course is broken down into two distinct parts, 24 weeks of Abdomen/Obstetrics and Gynecology instruction and 24 weeks of Vascular/Echocardiography instruction. Each 24 week period includes 12 weeks didactic and 12 weeks clinical training. A student’s grade point average (GPA) is monitored weekly. Students are given a grade report on Friday of each week by a Staff member. Students are given two separate GPA’s, one based on didactic performance and one based on clinical performance. Didactic GPA’s are based on a cumulative average of test scores, homework and a final exam. Clinical GPA’s are a cumulative average of tests and quizzes. Should a student’s GPA in either portion of the program fall below an 80%, the Program Director, Financial Aid Director, Clinical Coordinator and Administrative Director are notified at the same time the students receive their grade report. The student is then placed on academic probation for a three week period. During this period of probation they are ineligible for Title IV aid unless the student’s GPA increases to above an 80%. If a student is unable to re-establish their GPA above an 80% after the three week probationary period, they are terminated from the program. Upon completion of the program, students will receive two separate final grades. The normal completion time for the 2016 hour program is 48 weeks. However, due to extenuating circumstances, which will be evaluated on a case by case basis, a student may take up to 72 weeks/150% of the program length to complete the course. The student must complete at least 16 weeks of either part of the course in order to be considered for extended completion time. Failure to meet these standards will result in termination of the program, and result in forfeiture of the course completion certificate. An appeal should be made to the Administrative Director in writing for consideration of completing the course once a student is not making satisfactory progress. In order to appeal a dismissal decision, a student’s GPA must have improved during the academic probation period. After a student completes the appeal process and re-enrolls in the program, previous course withdrawals, incomplete grades, repeated courses, non-punitive grades, non-credit, and remedial courses have no effect on the current satisfactory progress policy. A student will be placed on academic probation if their grade point average falls below 80 on test grades only (didactic or scanning). A student will be placed on probation for a period of 3 weeks if there are 3 weeks until the end of the current didactic portion of the program, and there are enough tests are remaining to bring average up. If there are not 3 weeks remaining, then the probation period will be the amount of time left before the end of the current didactic period. If at the end of this time, improvement has not been made, the student will be dismissed. A student on academic probation will be given counseling, and will be taken off of probation only after the student shows academic improvement and his/her grade point average is brought to 80 or above. Tuition refund policies and termination date as stated in the school catalog shall prevail. Re-entry will be considered on an individual basis. If a student should fail a routine scanning test (not a scan final or the mock exam), they will have 2 weeks of scanning practice, during which time the student should utilize all available scanning hours. The student will then re-test in that area in 2 weeks, if at that time, the student does not pass the re-test they will be terminated from the program. If it is found that the personality of the student is incompatible with the requirements of Diagnostic Sonography in the care and handling of patients. Failure to comply with published rules and regulations as outlined in the School catalog/handbook. GPA falls below an 80% and does in increase above an 80% after being put on Academic or Scanning Probation. · A student is caught cheating. If a student receives 2 complaints from clinical sites while in clinical rotations. Students must be in attendance 96% of the course in which they are enrolled. Students enrolled in the program, may not miss over 40 hours. If they do, it may result in termination from the program. Absence due to extended illness will be considered on an individual basis. The Florida Institute of Ultrasound generally operates on a 42 hour per week cumulative time for didactic and clinical instruction. The classroom hours are 8:00 am to 4:30 pm, Monday through Friday. Clinical hours vary from site to site. Most clinical sites operate from 7:30 am to 4:30 pm, Monday through Friday. Lunch and breaks may be modified pending patient flow, department needs, and classroom considerations. Lunch periods at the school during class days will be at the discretion of the classroom instructor. 1. Within one work week of the incident, the student should discuss the grievance with the faculty member to attempt to resolve the problem. 2. Within one work week, if the complaint is still not resolved, the student should discuss the problem with the Program Director. If the issue is something the student is not comfortable discussing with the Program Director, the student should go directly to the Administrative Director. The Program Director will discuss the issue with the Administrative Director and a decision will be made regarding the issue. All academic records, transcripts, clinical evaluations, etc, will be issued to third parties only after the Director has received consent from the student. All dialog and student-instructor interaction will be maintained in confidence by the school. Each student is given a Student Handbook during orientation. This booklet describes in detail the School’s policies and procedures. Appearance is very important and patients expect to see professionalism in the workplace. Therefore, the school requires students to wear a school uniform while in clinicals. The schools uniform consists of teal scrub pants, a white scrub shirt with the school logo, lab coat and a nametag. When students are in the classroom, they are required to wear scrubs of any color or pattern. When in clinical rotations, each clinical site may have their own dress code which may address the subject of tattoos as well. Most clinical sites will require tattoos to be completely covered. All students are encouraged to utilize the school library during normal operating hours. There are video tapes, textbooks and ultrasound journals available to students. No student may be employed during the hours that are concurrent with either clinical or didactic instruction. The school does not recommend working during enrollment at the Florida Institute of Ultrasound Inc. The school does not offer a stipend. At time of publication, the State of Florida does not require a license for practicing Diagnostic Medical Sonography. 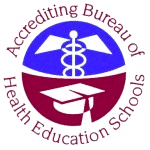 A student should check with the proper authorities in the state he/she intends to work to inquire whether a license to practice ultrasound is required. The Florida Institute of Ultrasound, Inc. does not state or imply that graduation from the school will insure finding a job. However, the school has trained over 2,000 sonographers who are working in and out of the United States. The school sends out job announcements in an attempt to assist graduates in finding employment. These will be posted on the school’s Facebook page. There is a faculty member appointed to assist in located available job openings. You may contact the school for more information. Before graduation, a job seeking class is held. During this class, students will be given a PowerPoint lecture with valuable interviewing tips, where to search for jobs, how to use Facebook to network and other helpful job search tools and ideas. Information regarding gainful employment can be found here. School transcripts are issued upon successful completion of the program. All tuition and fees must be paid in order to receive your transcript. Additional copies of these documents may be obtained by calling or emailing the school. At any time, feel free to contact us for any questions about the admissions process.